Based in Portland, Oregon, our branch responsible for the Pacific and North West regions of the United States offers the following services. Please click on each of the following titles to read about them. Our experienced professionals can help identify potential problem areas in a proactive fashion, providing owners, developers, and partnering construction companies with the time to correct potential issues in the field before they happen. We will bring added value to your project by reducing short-term and long-term exposure to risks specifically tied to projects in the High Voltage arena. We specialize in the complete installation of oil-filled substation equipment, including assembly, vacuum oil-filling with heat and degasification, and acceptance field testing. Silvey prides itself in also being able to assist customers with maintenance and lifecycle preservation of equipment after the initial installation. Our experts have decades of experience in the testing and commissioning services for utilities, industrial customers, renewable projects, and the like. We have worked with and for regional utilities and power related companies on the most involved and complex projects that aging substations can challenge a team with while staying energized. Under Associated Substation Engineering, Inc. we offer single source engineering and design services that are customized to your specific requirements. Our dedicated team of engineers and designers utilize the latest in structural and foundation design software, as well as many other custom design programs. Built on nearly 50 years of successful construction projects, we cover the full spectrum of substation voltages from distribution levels to 500kV. Our company has several crews and the necessary accompanying equipment to complete substations and related infrastructure at the highest level to exceed best business practices. This delivery method was instituted in order to provide the customer with a solitary point of contact for all electrical substation related projects. This approach ensures that the project is fully supported from the conceptual single line to the commissioning and energization of the project. Life-cycle and administrative costs of the projects are eliminated by maintaining the overall scope of work in one contract. With property and land constraints as well as environmental challenges, there is a need and an increased demand for compact GIS substations. 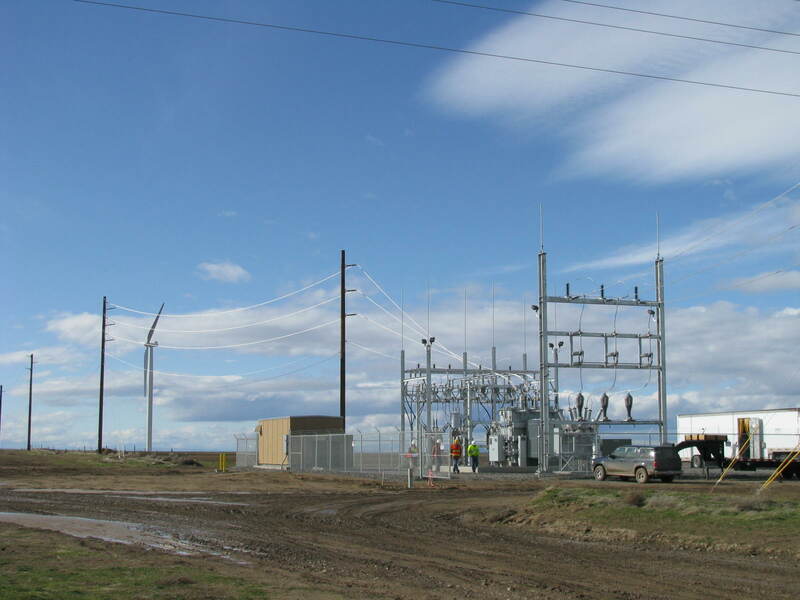 GIS substations use technology developed through SF6 gas circuit breakers and incorporates disconnect and grounding switches, gas insulated bus, voltage transformers, and surge arresters. Design application includes both existing substation upgrades and new construction.